A truly modern foundation that offers invisible, weightless coverage that looks like skin, not makeup. This long-wearing formula evens tone, minimizes the appearance of pores, conceals imperfections, and offers broad-spectrum UV protection. Its hydrating technology leaves skin feeling cushioned, comfortable, and clean. Light-to-medium coverage. Ideal for all skin types. 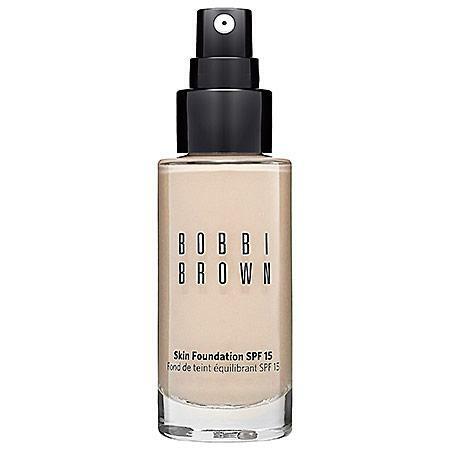 Bobbi Brown Skin Foundation Broad Spectrum Spf 15/1 Oz.